IT SNOWED HERE on Tuesday and Wednesday!!!! 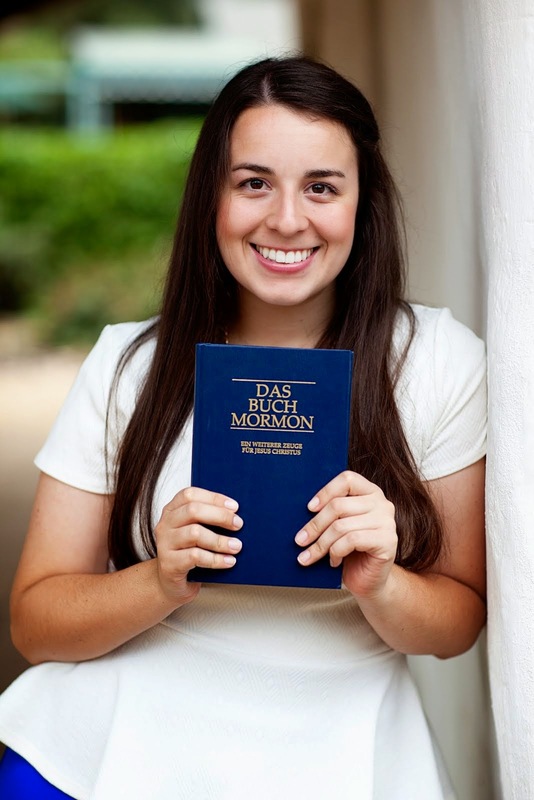 Of course Sister Jackson is from Utah and said that it really wasn't that much, but I thought it was a lot!! Germany is so pretty in the snow, so magical! That was probably the highlight of the week. Yeah mom the refugees are everywhere. It's a tough situation they’re all in. We have had a hard time getting ahold of our investigator from Camroon, still waiting to here back from her. We were able to meet with the wife of the family from Macedonia, though! that was cool. She was a bit sick, but we were able to read from the Book of Mormon together. It's crazy that we can barely understand each other, but together we can feel the spirit when (trying) to talk about the Gospel and and Jesus Christ. Sister Jackson is doing well, as she usually is! She just blows me away with her German every single day I kid you not. I don't even remember what it was like to not be able to speak, but she is just moving along splendidly. she can understand most of what is going on now. woooooo!! Training is pretty hard but I really enjoy it. I can feel the mantel of responsibility. haha no slacking off for me! For the next 7 weeks of my mission: finish the new testament, pray daily to have the spirit and then listen to the prompting that I need specifically for that day. Naja there are a few more that are still in the works getting specified. We had a zone meeting on Thursday, which means we got to SEE THE TEMPEL. It looks so pretty in the snow!!! I'll send pics. Wednesday night we stayed in Dresden, then Thursday night we stayed with the sister training leaders there in Freiberg, as we had our exchange with them till Friday. I was with Sister Curry! She is really energetic and very straightforward. I really had a solid time and learned some good things. Her energy is contagious and made me even more excited to be a missionary. I wish I could be here when the temple is finished, but being able to walk beside it is already a tender mercy. I love the Temple! Saturday we had another appointment with the lady we found dooring, with whom my German was so good. ANOTHER amazing lesson. We talked about the restoration again, but she says she is too old and it would be too overwhelming to join another church at this point. The spirit was so so so strong though! I bore my testimony to her and we really said all that we could. It was really sad, because she really recognized the truth, she just doesn’t feel in the situation to act right now. She has surgery coming up, so I might not get to see her again before I go home. She will call eventually, she said. I pray that Heavenly Father will help her recognize what is best for her at this time. I love this little German lady so much! Oh man I am for sure in Cottbus to have met her, I just know it! I can't believe Megan is starting her last transfer this weekkkkkkkk wahhhhhh CRAZY!!! So stoked for her. I now have 7 weeks left. I love being here so much, I love speaking German and interacting with the people here. Yesterday morning I woke up SO SO tired. I mean I keep asking myself how I will accomplish 7 more weeks. But then yesterday at church after I took the sacrament I just felt so refreshed and energized! It really strengthened my testimony of the enabling power of the Atonement. Somehow, Christ gives me the strength I need. It works! He is going to help me until the very end. I know I can keep going and finish strong. How wonderful it is to have a Savior. I never have to rely on myself, and I'm okay with that! I love my Savior. Have a good week, ich habe euch lieb.